"She's a bit of crumpet, that one." Dictionary definition: A very sexually desirable woman. So lets talk about a nice bit of crumpet shall we? As well as being a reference to someone we want to take to bed, a crumpet is actually something rather delicious! It's like a thick and fluffy pancake with the addition of yeast to give it lift and those all important bubble holes that capture and hold all of the golden melted butter- I had you at golden melted butter didn't I? The early crumpets were hard pancakes cooked on a griddle, rather than the soft and spongy crumpets of the Victorian era, which were made with yeast. The term itself may refer to a crumpled or curled-up cake. 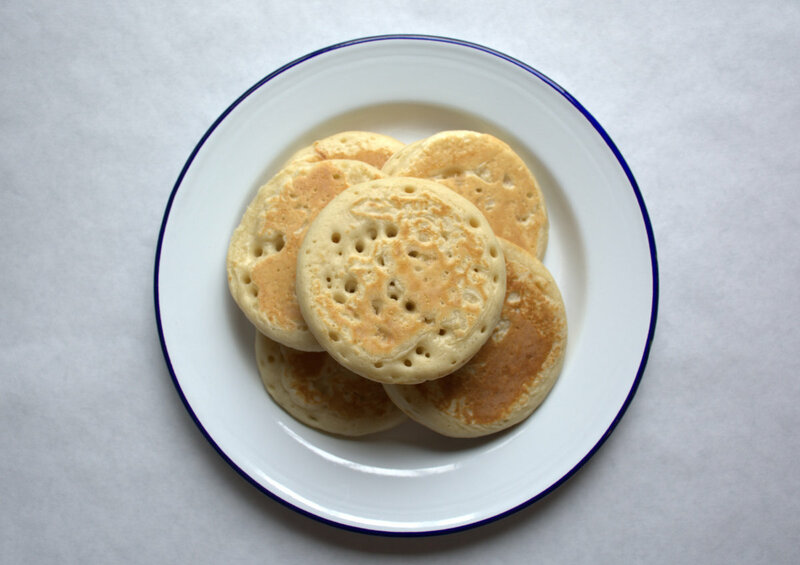 English crumpets are generally circular, roughly 8 cm in diameter and 2 cm thick. Their shape comes from being restrained in the pan/griddle by a shallow ring. They have a characteristic flat top with many small pores and a chewy and spongy texture. They may be cooked until ready to eat warm from the pan but are frequently left slightly under cooked so that they may be cooled and stored before being eaten freshly toasted. They are often eaten with a thick spread of butter. 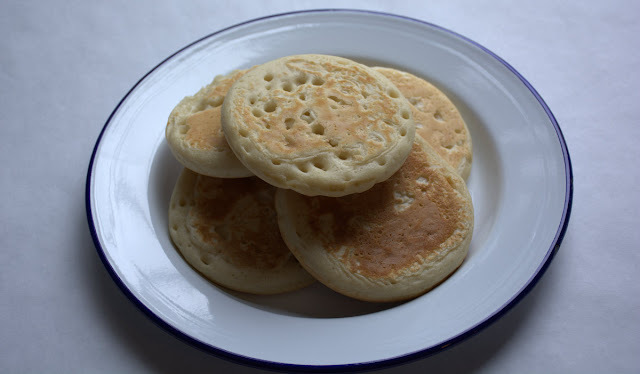 If you make your crumpet thinner by not using a ring these are referred to as pikelets. You may giggle at my pan but when I saw it in the Dollar store I knew immediately that it was the perfect size for cooking crumpets so I bought it. Judge me all you like, I know your only jealous. Golden, toasted crumpets dripping with butter! There is nothing better. 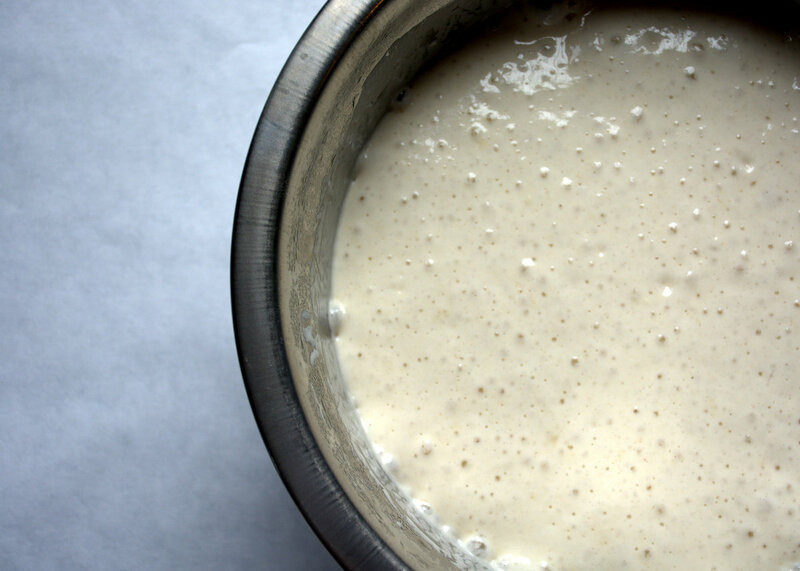 Place the flour and yeast in a bowl and whisk together. Dissolve the sugar in the warm milk and pour onto the flour. Using a wooden spoon beat until you have a smooth batter. This will take 5 minutes and is hard work, but is essential to produce the holes in the crumpets. Your arm will thank you when you stop!Cover and rest for 20 minutes (you can rest for 20 minutes too). The batter will rise and then begin to fall. 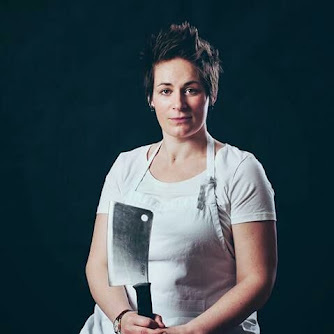 You will see marks on the side of the bowl where the batter was before it dropped.Mix the bicarbonate of soda and salt with the warm water and beat it into the batter. Add about ¾ of the water and keep adding it until you get a double cream consistency. Cover and rest for 20 minutes.Heat a flat griddle or heavy based pan. Lightly grease the inside of four metal crumpet rings or use a small, perfectly sized pan. Lightly grease the griddle/pan. 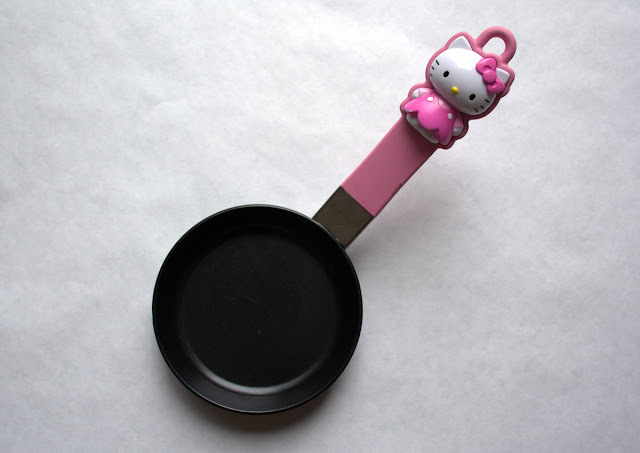 Heat the pan on a medium heat.Drop two dessert spoons of mixture into each ring. After 4-5 minutes bubbles should appear and the surface should be set. Carefully turn the crumpets in their rings and cook for a further three minutes.Serve immediately or leave to cool and then toast before eating with plenty of butter. So whether you make a crumpet or a pikelet make sure you fill all of those holes with butter and enjoy a little taste of England!